A very important career in the medical field are medical scientists. Medical scientists dedicate their time to improving human health by doing research and investigative work in regards to pathogens, diseases, bodily systems, pharmaceuticals and the aging process. In regards to work environment, most medical scientists work in laboratories and /or offices and most have full-time work. Many medical scientists work in hospitals independently and they are also found in government and University sectors. Medical scientist may also be found working and private sectors, using their scientific research to try to make new pharmaceuticals or medical discoveries in the fast-growing field of medical technology. Most of the work is done alone in quiet atmospheres that foster creative medical thinking. is the annual mean salary for medical scientists. have a Post-Doctoral training while 20% have a Master’s degree. 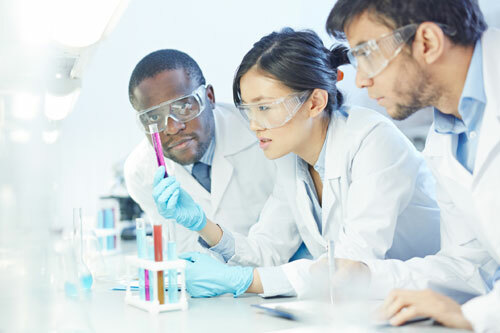 Medical scientists can spin off into areas of specialization to gain more information through clinical trials and laboratory research and experimentation. Some of these specializations are clinical pharmacology, Neuroscience, gerontology, and even cancer research. The typical entry level education requires a professional degree or a doctoral degree. It is popular for medical scientists to earn a doctorate before entering the field. Medical scientists continue to be needed in the medical field because they are essential to the contributions of the development of treatments and medicines that improve the health of humans, especially in the aging population. Medical scientists make a very decent wage. According to the BLS.gov, in 2015, the median salary for medical scientists was $82,240 per year with the lowest 10% earning less than $44,000 and the top 10% earning over $155,000 per year. Pharmaceutical manufacturers may pay higher wages. The top paying states for medical scientists are Idaho, Montana, Oklahoma, Connecticut, and Illinois. The expected job outlook is between 8% to 13%. This is due to the medical care needed to assist the aging population. Analysts expect the job growth for medical scientists to grow nationwide. An example is the state of Oklahoma, which is expecting to see a 35% job growth out to the year 2020. There is a high demand for specialized pharmaceutical medical scientist do to an aging population. Medical scientists outside of the field of epidemiologist are expected to grow at a rate of 13% until 2022.